How Laser tattoo removal works!! Presented by SmarterEveryday!! Inspiring: Artist Joyner Lucas gets emotional when seeing his tour van for first time!! Incredible: Brian Tagalog, is a tattoo artist from Arizona with no arms!! The art of inspiration. Snoop Dogg shows that he is a true artist by displaying his other creative ability!! HardBody!! Shady cypher: Eminem, Slaughterhouse & Yelawolf!! Wedding Tattoos Are Becoming the Hottest New Wedding Trend?!?? NORTH HOLLYWOOD (CBSLA.com) — Police have made an arrest in connection with the murder of a well-known tattoo artist. Expert tips for celebrities’ tattoo removal! How Tattoos Went From Subculture to Pop Culture!! By: Mik Thobo-Carlsen and co-author Victor Chateaubriand. Say Hello To Katy Perry’s New Purrrfect Tattoo! Durham County Sheriff's Office Michelle Smith White, 37, was arrested for having a sexual relationship with a female student at Jordan High School. According to Durham police, White had the student's name and initials tattooed on herself. Follow up to the DIY tattoo article we posted. No Class is a skater DIY tattoo parlor in Fiarplay, Colorado. Hilarious: Jim Carrey impersonates Matthew Mcconaughey on SNL!! 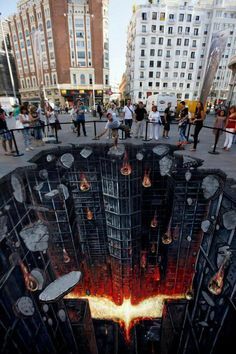 Throwback Dope Art: Dark Knight 3d Street Art in Madrid, Spain! !